SYSTEM, 25 PIN STRAIGHT THRU CABLE 25 PIN MALE TO 25 FEMALE Barcoding Store, powered by Strategic Mobiltiy Group, LLC (SMG3) offers globally recognized products and industry-leading solutions to enhance your organnization's productivity. Combining optimal search functionality and industry-leading products from Zebra, Honeywell, AML, etc., Barcoding Store creates a superior shopping experience unlike any other withing our industry. SYSTEM, CENTRONICS PARALLEL PRINTER CABLE,3', BEIGE Barcoding Store, powered by Strategic Mobiltiy Group, LLC (SMG3) offers globally recognized products and industry-leading solutions to enhance your organnization's productivity. Combining optimal search functionality and industry-leading products from Zebra, Honeywell, AML, etc., Barcoding Store creates a superior shopping experience unlike any other withing our industry. SYSTEM, CENTRONICS PARALLEL PRINTER CABLE,6', BLACK Barcoding Store, powered by Strategic Mobiltiy Group, LLC (SMG3) offers globally recognized products and industry-leading solutions to enhance your organnization's productivity. Combining optimal search functionality and industry-leading products from Zebra, Honeywell, AML, etc., Barcoding Store creates a superior shopping experience unlike any other withing our industry. SYSTEM, CENTRONICS PARALLEL PRINTER CABLE,6', BEIGE Barcoding Store, powered by Strategic Mobiltiy Group, LLC (SMG3) offers globally recognized products and industry-leading solutions to enhance your organnization's productivity. Combining optimal search functionality and industry-leading products from Zebra, Honeywell, AML, etc., Barcoding Store creates a superior shopping experience unlike any other withing our industry. HONEYWELL, HAND STRAP FOR EDA51 Barcoding Store, powered by Strategic Mobiltiy Group, LLC (SMG3) offers globally recognized products and industry-leading solutions to enhance your organnization's productivity. Combining optimal search functionality and industry-leading products from Zebra, Honeywell, AML, etc., Barcoding Store creates a superior shopping experience unlike any other withing our industry. JANAM, STYLUS TETHER (5-PACK) FOR XT2, XM5, XG3 SERIES Barcoding Store, powered by Strategic Mobiltiy Group, LLC (SMG3) offers globally recognized products and industry-leading solutions to enhance your organnization's productivity. Combining optimal search functionality and industry-leading products from Zebra, Honeywell, AML, etc., Barcoding Store creates a superior shopping experience unlike any other withing our industry. NCR, CABLE, 46-00525-6 POWER SUPPLY: NORTH AMERICA PLUG, 1.0A 5.2VDC, 90-255VAC 50-60HZ Barcoding Store, powered by Strategic Mobiltiy Group, LLC (SMG3) offers globally recognized products and industry-leading solutions to enhance your organnization's productivity. Combining optimal search functionality and industry-leading products from Zebra, Honeywell, AML, etc., Barcoding Store creates a superior shopping experience unlike any other withing our industry. CIPHERLAB, 1662, WARRANTY, 3 YEAR STANDARD COMPREHENSIVE WARANTY Barcoding Store, powered by Strategic Mobiltiy Group, LLC (SMG3) offers globally recognized products and industry-leading solutions to enhance your organnization's productivity. Combining optimal search functionality and industry-leading products from Zebra, Honeywell, AML, etc., Barcoding Store creates a superior shopping experience unlike any other withing our industry. JANAM, ACCESSORY, AVALANCHE, 1 MOBILE DEVICE MANAGEMENT LICENSE Barcoding Store, powered by Strategic Mobiltiy Group, LLC (SMG3) offers globally recognized products and industry-leading solutions to enhance your organnization's productivity. Combining optimal search functionality and industry-leading products from Zebra, Honeywell, AML, etc., Barcoding Store creates a superior shopping experience unlike any other withing our industry. NAVORI, 1 YEAR SLA FOR QL SERVER ON PREMISE, CLIENT ACCESS LICENSE (PLAYER CAL) Barcoding Store, powered by Strategic Mobiltiy Group, LLC (SMG3) offers globally recognized products and industry-leading solutions to enhance your organnization's productivity. Combining optimal search functionality and industry-leading products from Zebra, Honeywell, AML, etc., Barcoding Store creates a superior shopping experience unlike any other withing our industry. UNITECH, ACCESSORY, 8400MAH BATTERY PACK Barcoding Store, powered by Strategic Mobiltiy Group, LLC (SMG3) offers globally recognized products and industry-leading solutions to enhance your organnization's productivity. Combining optimal search functionality and industry-leading products from Zebra, Honeywell, AML, etc., Barcoding Store creates a superior shopping experience unlike any other withing our industry. DT RESEARCH, DR202 80W 7800MAH BATTERY FOR CP202 BATTERY POUCH Barcoding Store, powered by Strategic Mobiltiy Group, LLC (SMG3) offers globally recognized products and industry-leading solutions to enhance your organnization's productivity. Combining optimal search functionality and industry-leading products from Zebra, Honeywell, AML, etc., Barcoding Store creates a superior shopping experience unlike any other withing our industry. NCR, REALSCAN REMOTE POST DISPLAY, DUAL CHARCOAL CG1, 30 IB, 13.99KG, ROHS WITH 4M CABLE Barcoding Store, powered by Strategic Mobiltiy Group, LLC (SMG3) offers globally recognized products and industry-leading solutions to enhance your organnization's productivity. Combining optimal search functionality and industry-leading products from Zebra, Honeywell, AML, etc., Barcoding Store creates a superior shopping experience unlike any other withing our industry. NAVORI, QL SERVER, ON-PREMISE, CLIENT ACCESS LICENSE (PLAYER CAL) Barcoding Store, powered by Strategic Mobiltiy Group, LLC (SMG3) offers globally recognized products and industry-leading solutions to enhance your organnization's productivity. Combining optimal search functionality and industry-leading products from Zebra, Honeywell, AML, etc., Barcoding Store creates a superior shopping experience unlike any other withing our industry. AML, MOBILE CHARGING CRADLE, SCEPTER Barcoding Store, powered by Strategic Mobiltiy Group, LLC (SMG3) offers globally recognized products and industry-leading solutions to enhance your organnization's productivity. Combining optimal search functionality and industry-leading products from Zebra, Honeywell, AML, etc., Barcoding Store creates a superior shopping experience unlike any other withing our industry. 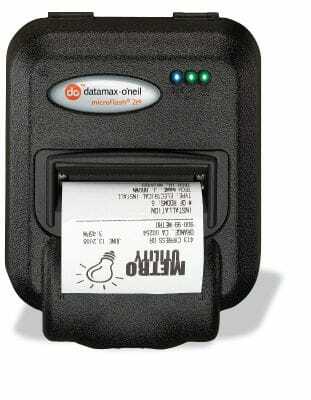 HONEYWELL, NCNR, APEX IOS MOBILE PRINTER, 2" DIRECT THERMAL, SERIAL/BLUETOOTH, 203 DPI, BATTERY, AC ADAPTER, BELT LOOP, ROLL OF RECEIPT PAPER Barcoding Store, powered by Strategic Mobiltiy Group, LLC (SMG3) offers globally recognized products and industry-leading solutions to enhance your organnization's productivity. Combining optimal search functionality and industry-leading products from Zebra, Honeywell, AML, etc., Barcoding Store creates a superior shopping experience unlike any other withing our industry. DETECTO SCALES, PRICE COMPUTING SCALE, PC SERIES, ELECTRONIC, 13.5" X 8.75", 30 LB CAPACITY Barcoding Store, powered by Strategic Mobiltiy Group, LLC (SMG3) offers globally recognized products and industry-leading solutions to enhance your organnization's productivity. Combining optimal search functionality and industry-leading products from Zebra, Honeywell, AML, etc., Barcoding Store creates a superior shopping experience unlike any other withing our industry. SAMSUNG, 32-INCH COMMERCIAL LED LCD DISPLAY (TIZEN BASED PLATFORM) - TAA, FULLY FUNCTIONING UNIT, NO DAMAGE TO GLASS, PACKAGING DAMAGE ONLY Barcoding Store, powered by Strategic Mobiltiy Group, LLC (SMG3) offers globally recognized products and industry-leading solutions to enhance your organnization's productivity. Combining optimal search functionality and industry-leading products from Zebra, Honeywell, AML, etc., Barcoding Store creates a superior shopping experience unlike any other withing our industry. DT RESEARCH, SIGNAGE APP WES7 CEL 256/4GB 2HDMI Barcoding Store, powered by Strategic Mobiltiy Group, LLC (SMG3) offers globally recognized products and industry-leading solutions to enhance your organnization's productivity. Combining optimal search functionality and industry-leading products from Zebra, Honeywell, AML, etc., Barcoding Store creates a superior shopping experience unlike any other withing our industry. LG, ACCESSORY, STAND FOR 55XE3C Barcoding Store, powered by Strategic Mobiltiy Group, LLC (SMG3) offers globally recognized products and industry-leading solutions to enhance your organnization's productivity. Combining optimal search functionality and industry-leading products from Zebra, Honeywell, AML, etc., Barcoding Store creates a superior shopping experience unlike any other withing our industry. PANASONIC,TGHBOOK,WIN10PRO,CORE I5 7300U 2.6GHZ,VPRO,14" FHD,GLVD MLT TCH,256GBSSD,8GB,WIFI,TPM2.0,BT,4GLTE ADVANCED,SERIAL,EMISBLKYBRD,NODVDDRV,WBCAM,BUMPOUT Barcoding Store, powered by Strategic Mobiltiy Group, LLC (SMG3) offers globally recognized products and industry-leading solutions to enhance your organnization's productivity. Combining optimal search functionality and industry-leading products from Zebra, Honeywell, AML, etc., Barcoding Store creates a superior shopping experience unlike any other withing our industry. HONEYWELL, PM43A, FULL TOUCH DISPLAY, ETHERNET, LONG DOOR + FRONT DOOR, UNWIND+REAL TIME CLOCK, TT, 300 DPI, 3 CORE, US POWER CORD Barcoding Store, powered by Strategic Mobiltiy Group, LLC (SMG3) offers globally recognized products and industry-leading solutions to enhance your organnization's productivity. Combining optimal search functionality and industry-leading products from Zebra, Honeywell, AML, etc., Barcoding Store creates a superior shopping experience unlike any other withing our industry. PANASONIC,TGHBOOK,WIN10PRO,I5 7300U 2.6GHZ,VPRO,14" FHD,GLV MLT TCH,256GBSSD,8GB,WIFI,TPM2.0,BT,4GLTE ADVANC,DUAL PASS,DGPS,SERIAL,EMIS BL KEYBRD,NODVDDRV,WBCAM,BUMP OUT Barcoding Store, powered by Strategic Mobiltiy Group, LLC (SMG3) offers globally recognized products and industry-leading solutions to enhance your organnization's productivity. Combining optimal search functionality and industry-leading products from Zebra, Honeywell, AML, etc., Barcoding Store creates a superior shopping experience unlike any other withing our industry. NCR, REALPOS RAP STATION, XR7, CONFIGURATION FOR TRUNO - BROOKSHIRE BROTHERS Barcoding Store, powered by Strategic Mobiltiy Group, LLC (SMG3) offers globally recognized products and industry-leading solutions to enhance your organnization's productivity. Combining optimal search functionality and industry-leading products from Zebra, Honeywell, AML, etc., Barcoding Store creates a superior shopping experience unlike any other withing our industry.